Bears Special Blend from Black Bear Farms & Estate Winery. So good. So, so good. 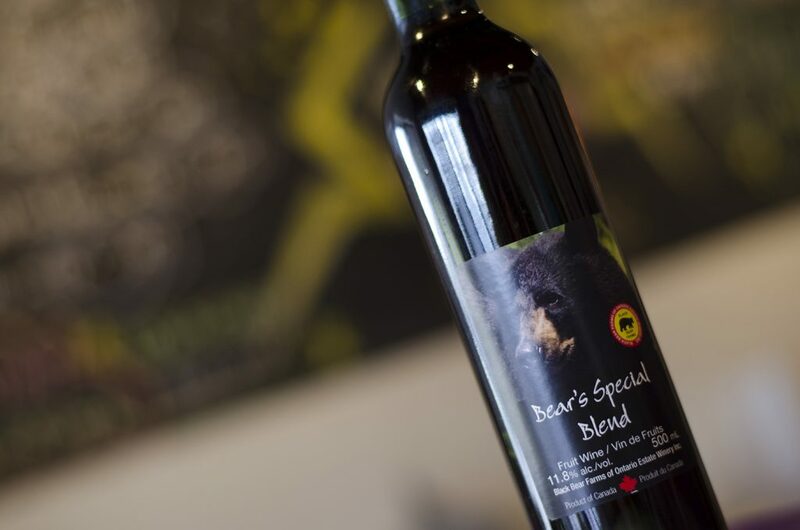 Bears Special Blend from Black Bear Farms & Estate Winery is just that, a 9 medal winner from 2011-2014 that’s very unique and special. 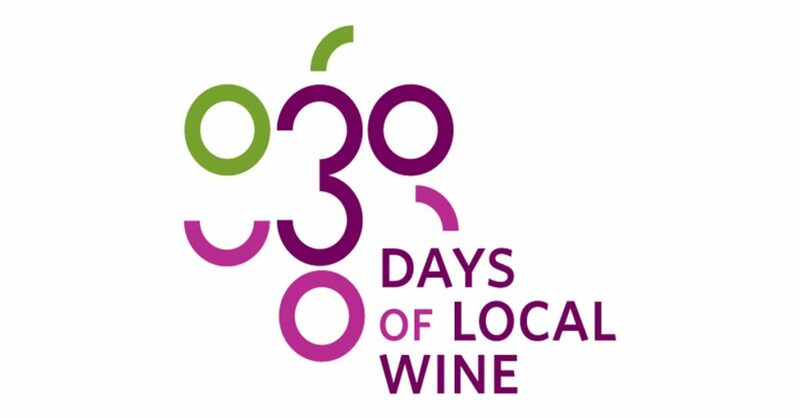 When you bring together flavours like red raspberry, black currant, blueberry and tree ripening pears you know it will be wine to impress your palate. The Bears Special Blend has the under tones of the sweetness from the blueberries with a tang of true black currant and red raspberries. The added treat is the hint of pear at the end. This wine is delicious on its own or paired with your favourite holiday meal. 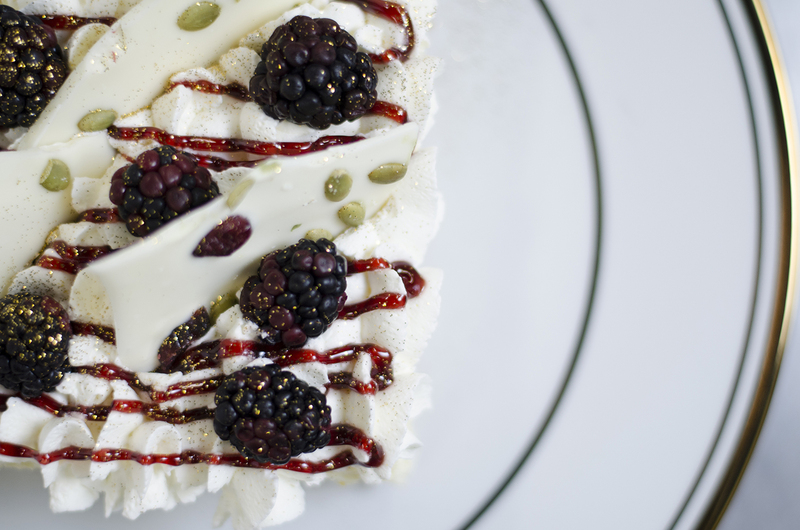 Cheesecake and wine…oh, how I love you madly. 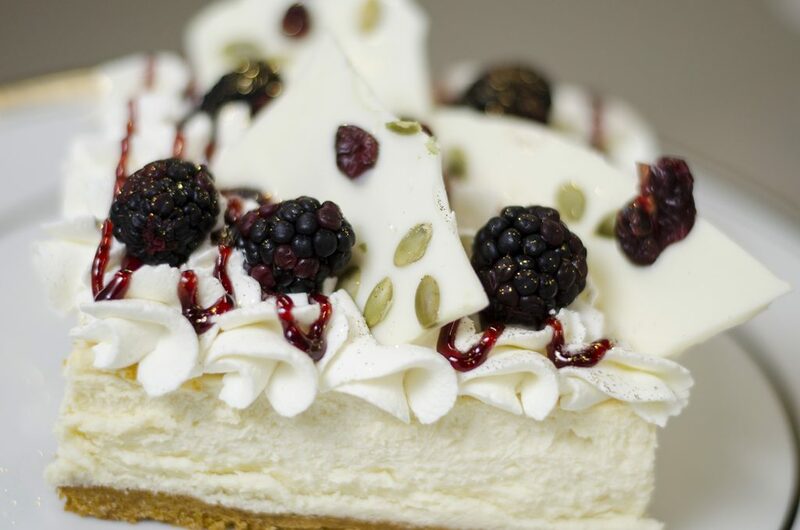 Saskia Scott, of the popular Sweet Revenge Bake Shop, took it upon herself to whip up a delicious vanilla cheesecake using a reduced Bears Special Blend as a sauce drizzles generously over top. You have to try this recipe out for yourself to believe it. Put all ingedients into a small pot stir and bring to a boil. Boil your sauce while stiring to desired thickness. The thicker the sauce the more intense your wine flavour will be. We boiled our sauce to 230-240 F. We would not recommend boiling over 240F. You can check the thickness of your sauce by taking some out with your spoon and letting cool on a plate. When you have reached your desired thickness remove from heat immediately and transfer to heat proof microwave safe bowl. Set aside. The thicker your sauce the harder it may be to pour over your cheesecake. You can pop your sauce into the microwave for 10 seconds at a time to loosen up so that it is easier to pour. Pour the crumbs into the pan and, using the bottom of a measuring cup or the smooth bottom of a glass, press the crumbs down into the base and 1-inch up the sides. Bake for 5 minutes. Set the cheesecake pan on a large piece of aluminum foil and fold up the sides around it. Place the cake pan in a large roasting pan. Pour boiling water into the roasting pan until the water is about halfway up the sides of the cheesecake pan; the foil will keep the water from seeping into the cheesecake. Bake for 45 minutes. The cheesecake should still jiggle (it will firm up after chilling), so be careful not to overcook. Let cool in pan for 30 minutes. Chill in the refrigerator, loosely covered, for at least 4 hours. Loosen the cheesecake from the sides of the pan by running a thin metal spatula around the inside rim. Unmold and transfer to a cake plate. With a spoon or a pastry bag drizzle your wine sauce liberally. You may add berries or white chocolate pieces for presentation. The trick is to not pick flavours that will overpower your wine sauce. Your sauce should be the star! *Extra tip* This cheesecake is delicious frozen! Just like ice cream!